SEVERAL Tottenham fans have been banned from their new stadium for "persistent standing" during games. 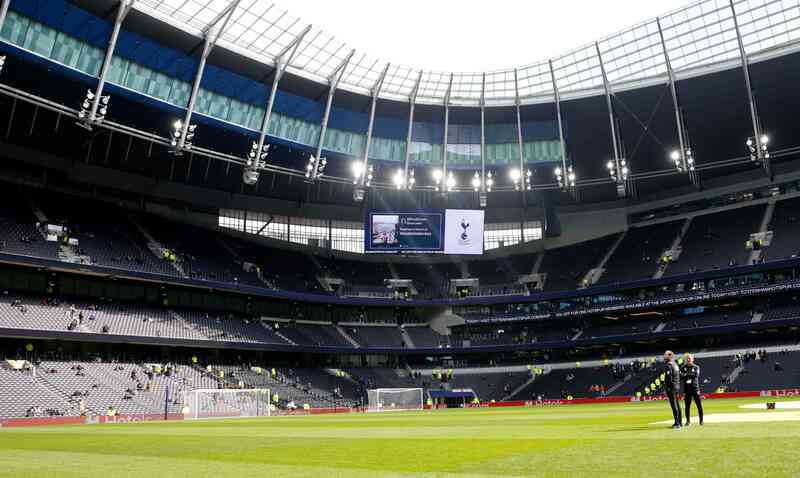 Spurs are quickly cracking down on supporters "failing to heed requests from the stewards" at their new £1billion home - after just two games there. Club officials sent an email out to fans regarding the ban, after a warning had been sent ahead of Tuesday's Champions League clash with Manchester City . In an email to fans, Tottenham wrote: "It is important that everyone is able to see the match and enjoy it. "We appreciate that fans will rise up at key moments in the match. "Persistently standing for the whole match or for long periods, along with failing to heed requests from the stewards and fellow fans to be seated, is not acceptable behaviour, notwithstanding it's against ground regulations." The warning ahead of the game against City was sent after the majority of the 17,500-seater, single-tier South Stand stood for most of the 2-0 win over Crystal Palace. 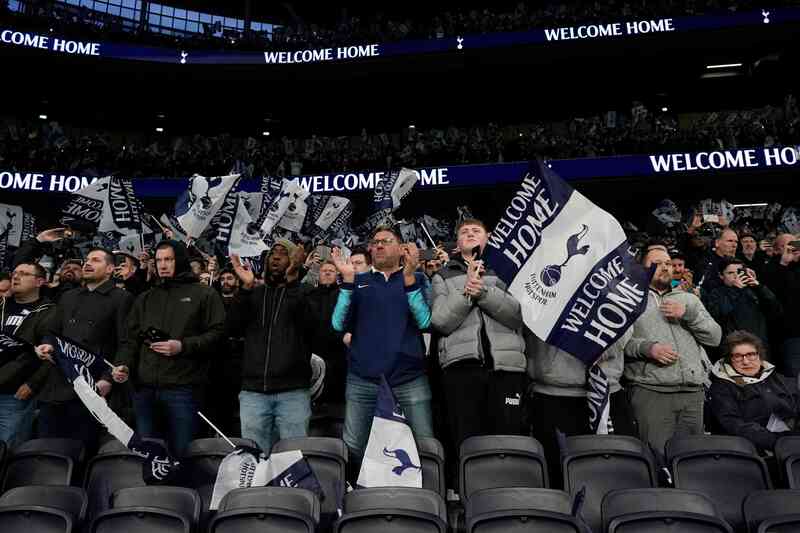 Ahead of the clash, Spurs claimed: "Fans are reminded that, as has always been the position in Premier League and Champions League stadia, standing during matches is against ground regulations. "The offence is punishable by stadium bans and clubs are at risk of having capacities reduced in certain areas of the stadium if persistent standing is not dealt with. "We therefore ask for your maximum cooperation with our stewards on this extremely important matter. If you are asked to be seated by a steward, please heed this instruction. "This ensures that everyone can enjoy the match-day without obscured views and in a safe environment." At present, the length of the bans for the fans is not yet known. Tottenham next play at home on Saturday, as they host relegated Huddersfield at the Tottenham Hotspur Stadium.